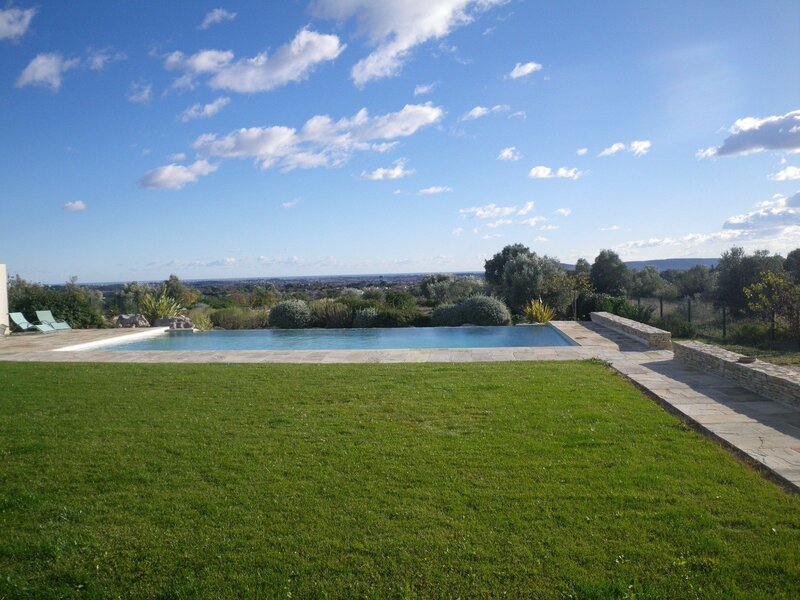 This outstanding property is situated on a hill above a village 15 mins from the center of Montpellier, 20 mins from the beach and 10 mins from an 18 whole Golf course. 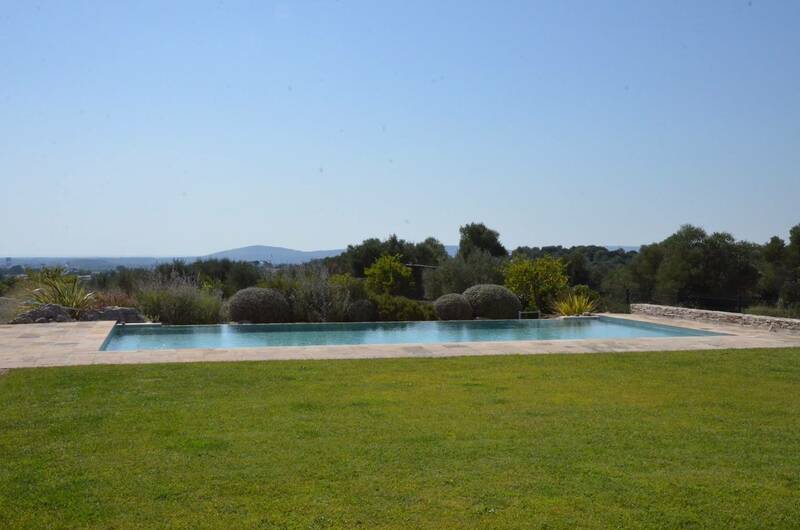 It is composed of a high quality 7 bedroom house with 300m2 of habitable space and 6000m2 of land with an infinity pool and a superb view all the way to the see. 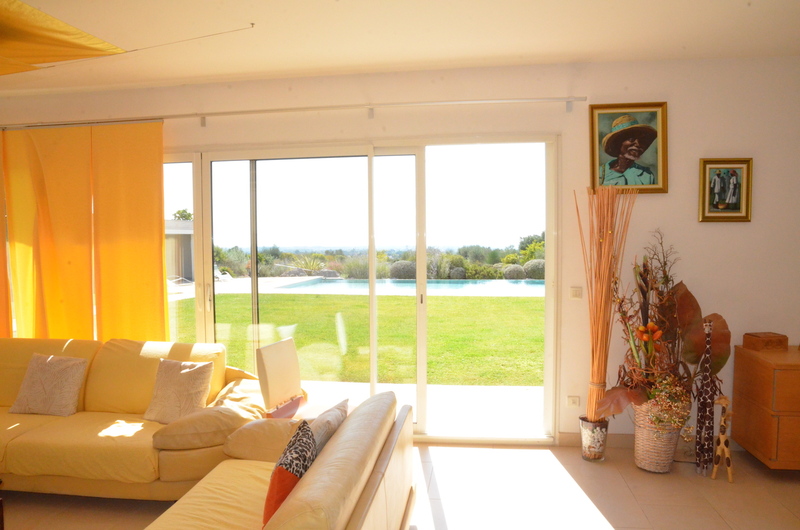 The house is built with a lot of glass panels and windows so it is extremely sunny and offers many beautiful views. 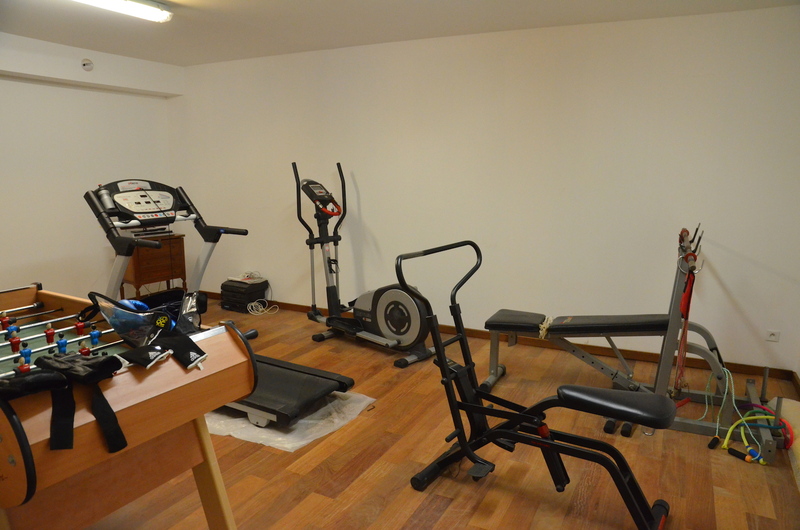 The property also includes a garage, gym, wine cellar, hammam, dressing room, large back kitchen and summer kitchen. 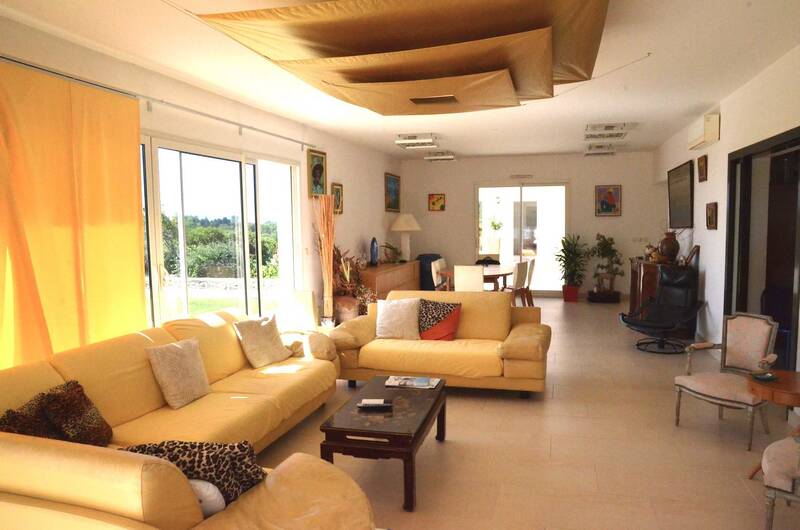 Underfloor heating and cooling system. 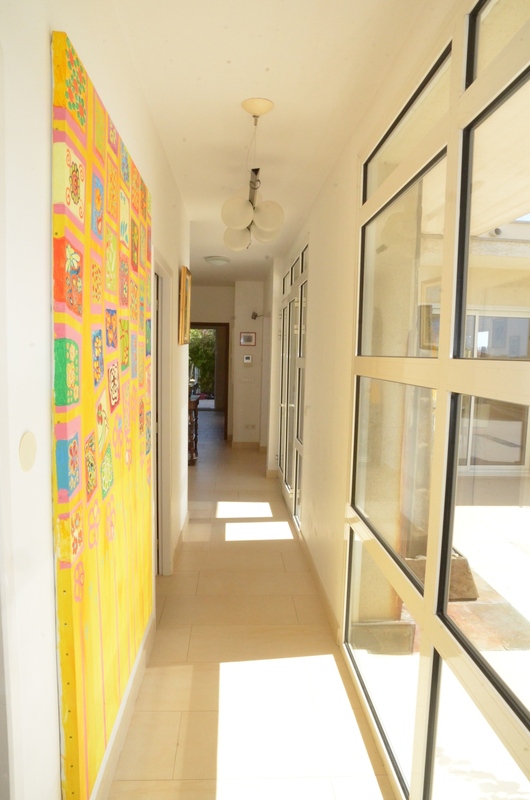 The house has 7 bedrooms, 4 bathrooms, a large bright sitting and dining room, a quality kitchen with a large back kitchen. 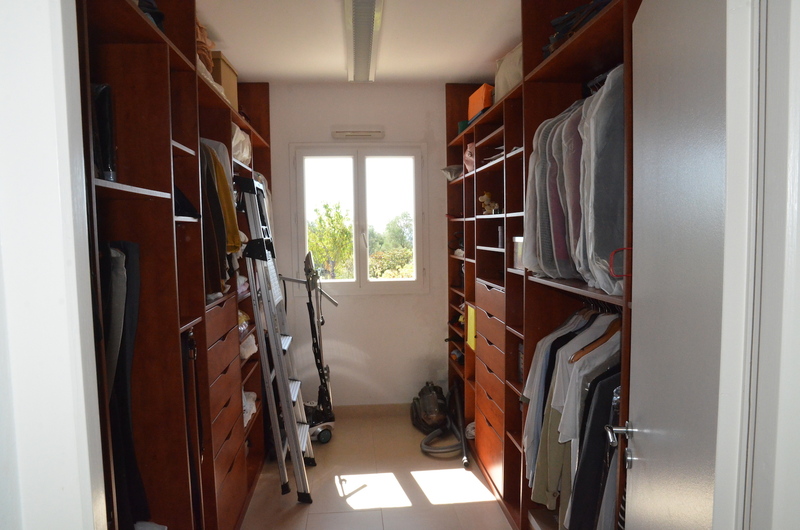 It also includes a very large garage, a hammam, a professional wine cellar, a gym, a dressing room, and several other rooms that can be used for storage or many other purposes. 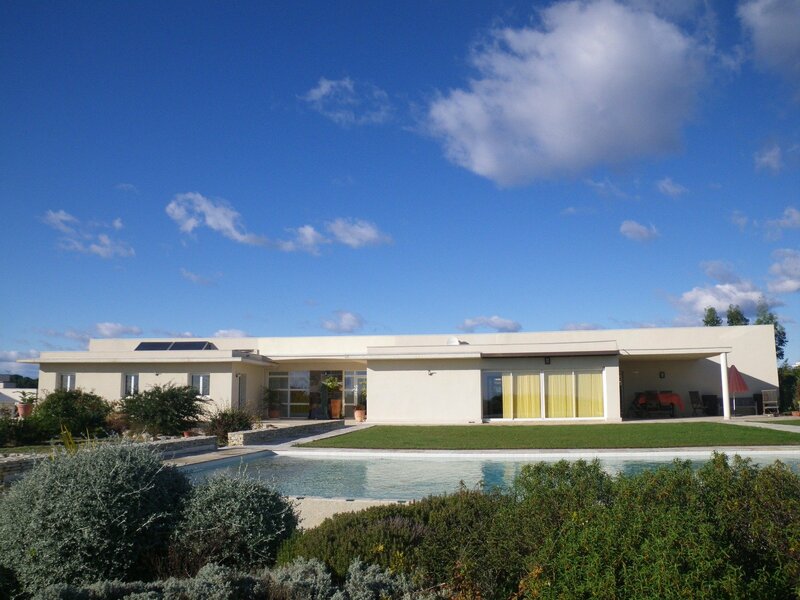 The house is set on a 6000m2 plot of land with an infinity pool and a summer kitchen/pool house. 1000m2 of this land could be built on to create some work space for instance. 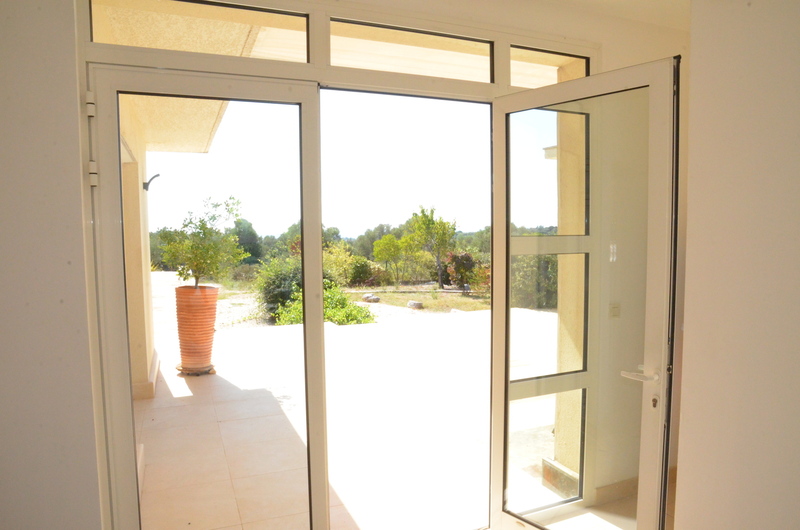 The property is situated in a dominant position, above an active village with all amenities including schools, doctors and a weekly market, just 15 minutes from the center of the bubbly city of Montpellier. 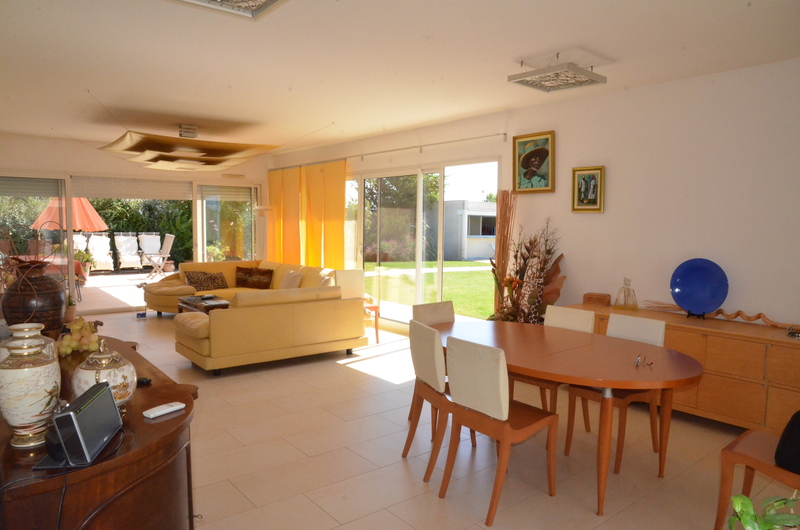 The property is also located 10 mins from a golf course and 20 mins from the local beaches. 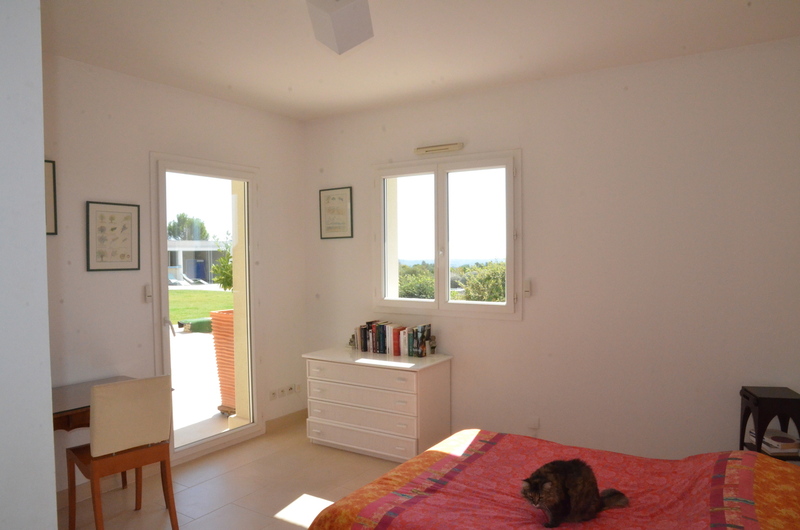 There are several international / English schools accessible in and around Montpellier. 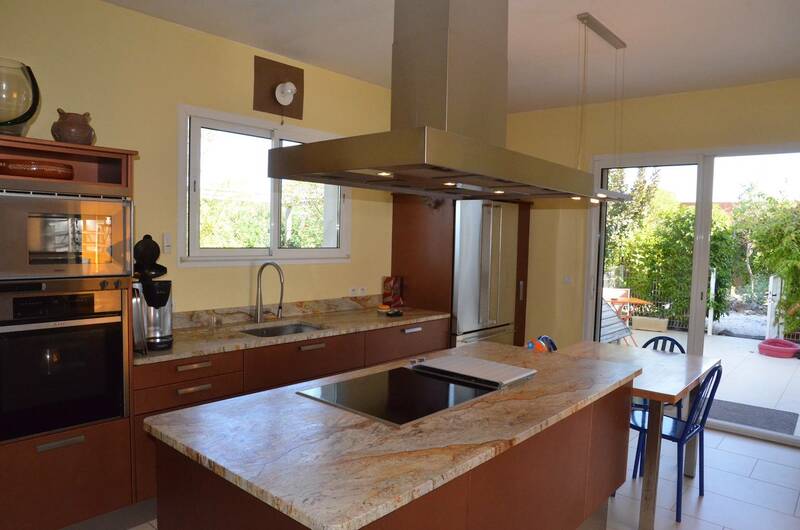 With its high standard features and good location this property would be ideal for a family relocating to Montpellier. The property even has the potential for building some work space separate from the house if that were needed.